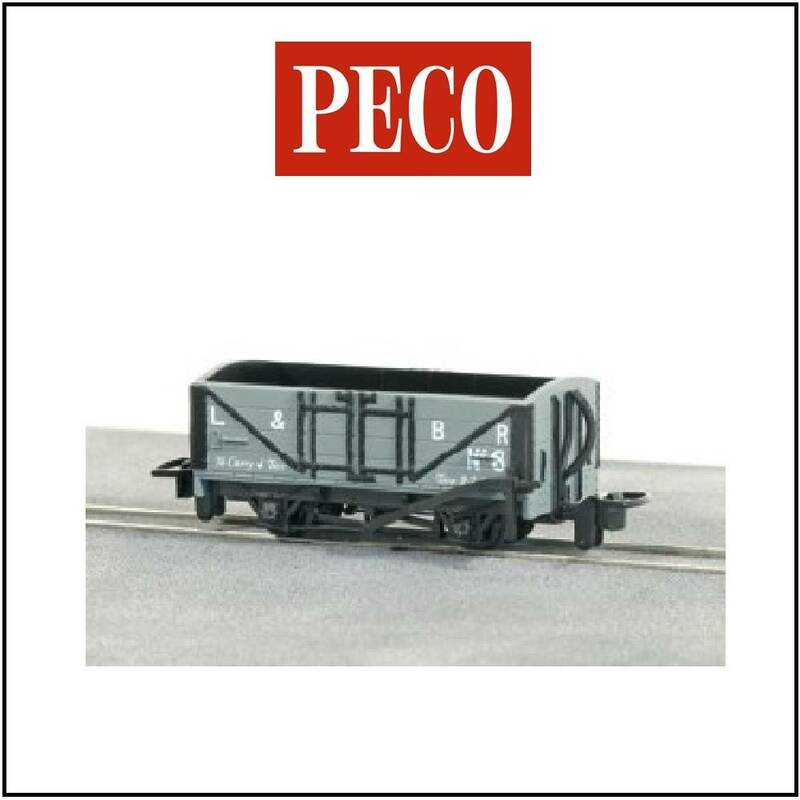 Peco GR-200U unlettered Lynton & Barnstaple Railway open wagon grey with black ironwork. 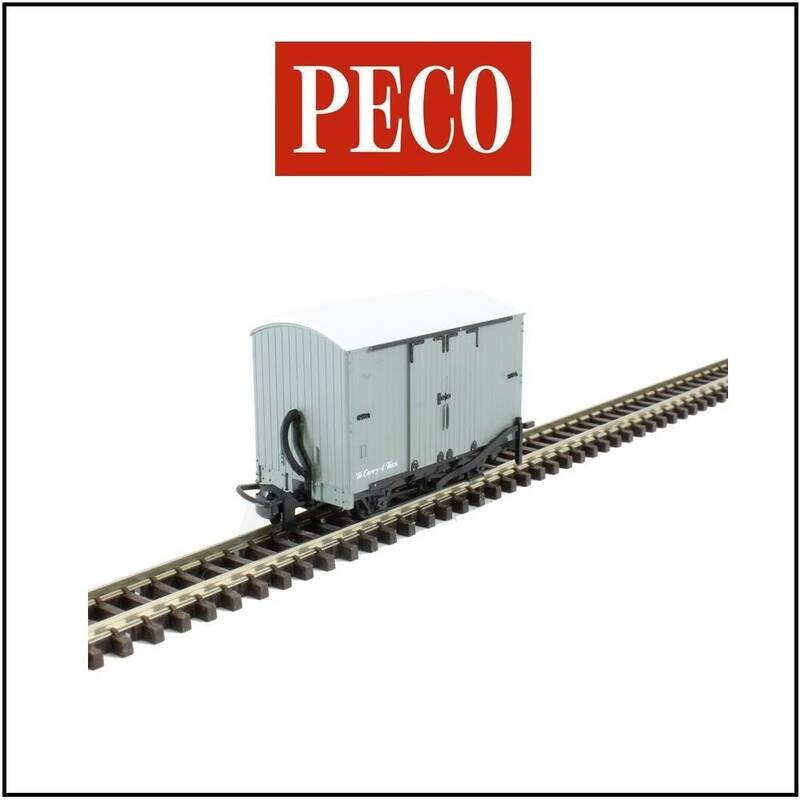 A detailed model of Southern Railway wagon 28304, one of the former Lynton and Barnstaple Railway open wagons. 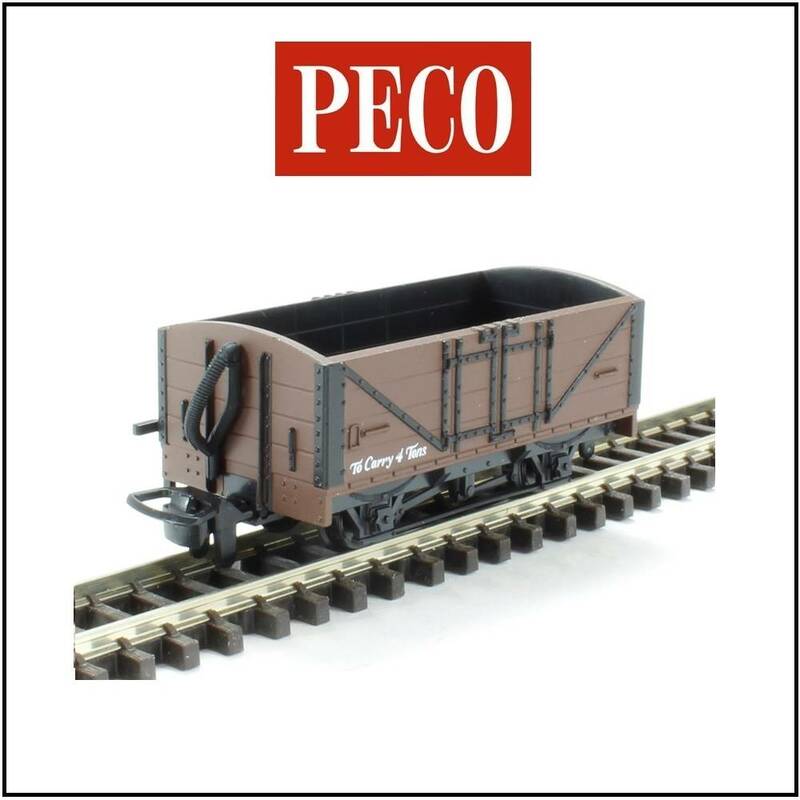 Peco GR-201U unlettered Lynton & Barnstaple Railway open wagon brown with black ironwork. 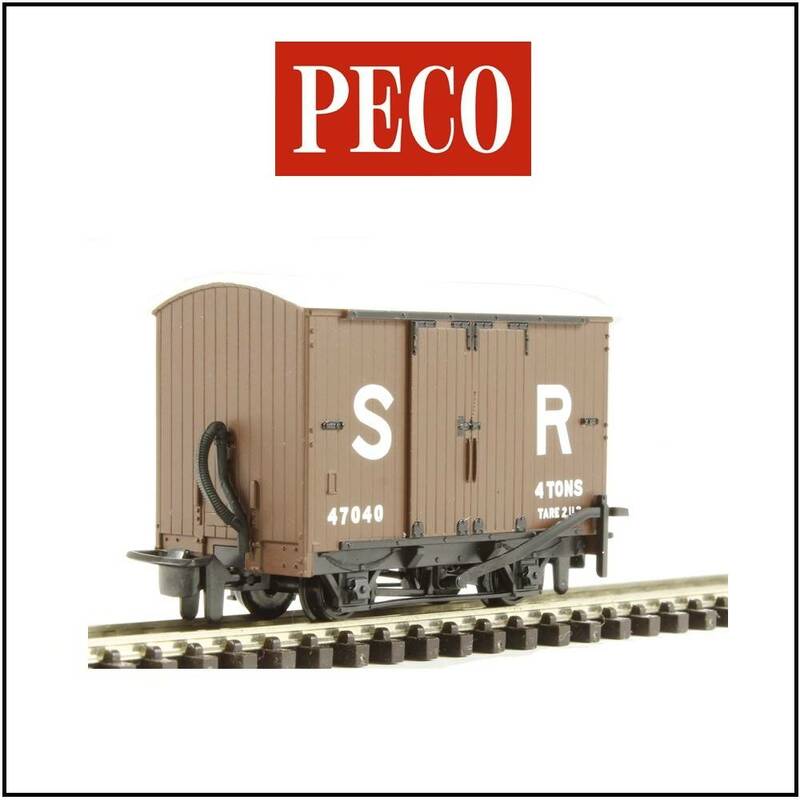 A detailed model of Lynton and Barnstaple Railway box van number 4. 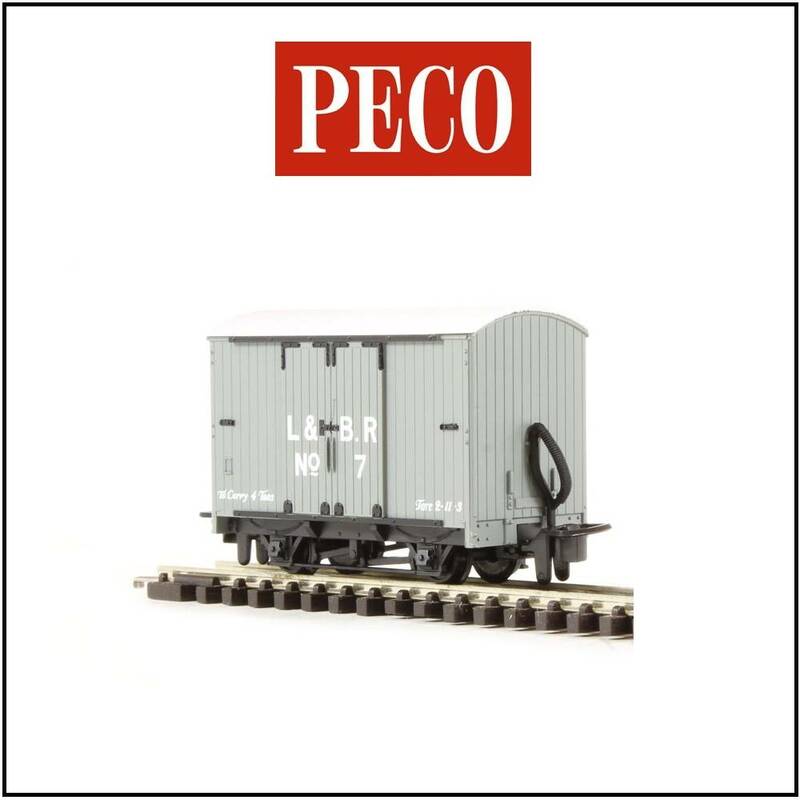 Peco GR-220U unlettered Lynton & Barnstaple Railway covered box van grey with black ironwork. 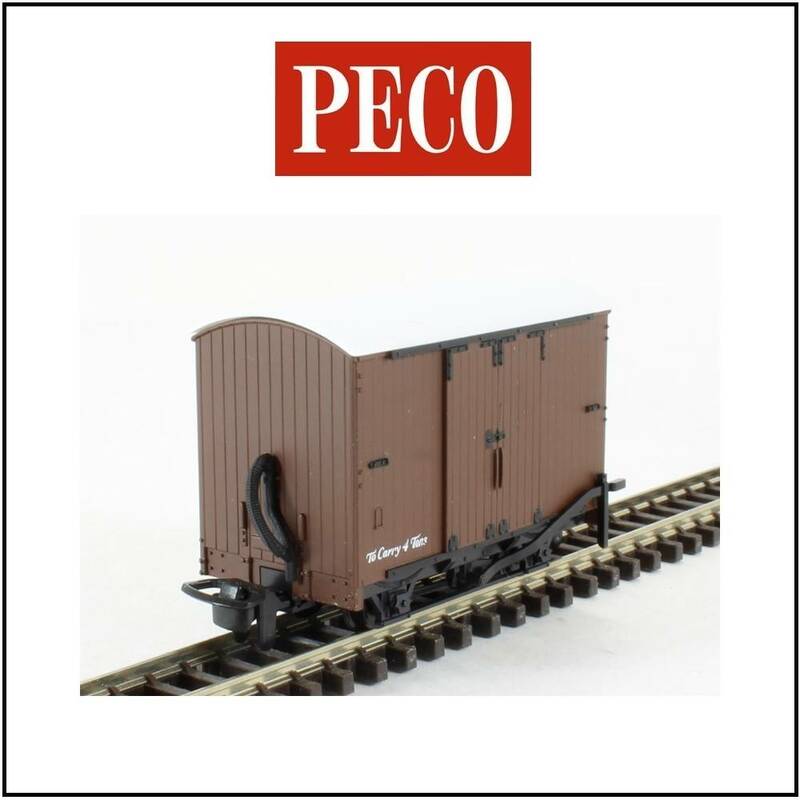 Peco GR-221U unlettered Lynton & Barnstaple Railway covered box van brown with black ironwork. 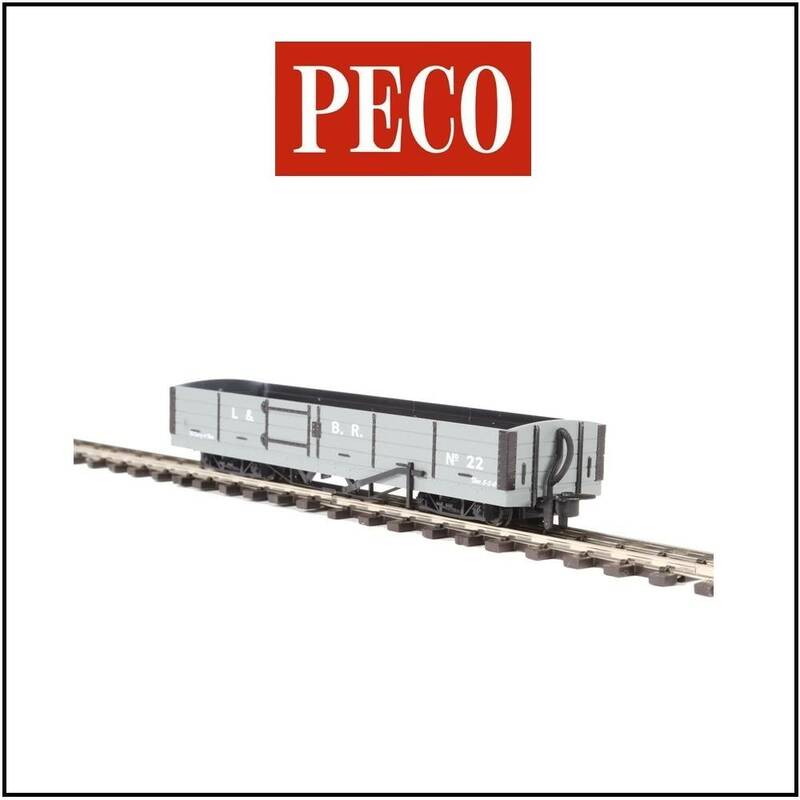 Peco GR-230 OO9 narrow gauge Lynton & Barnstaple Railway bogie open goods wagon number 22. 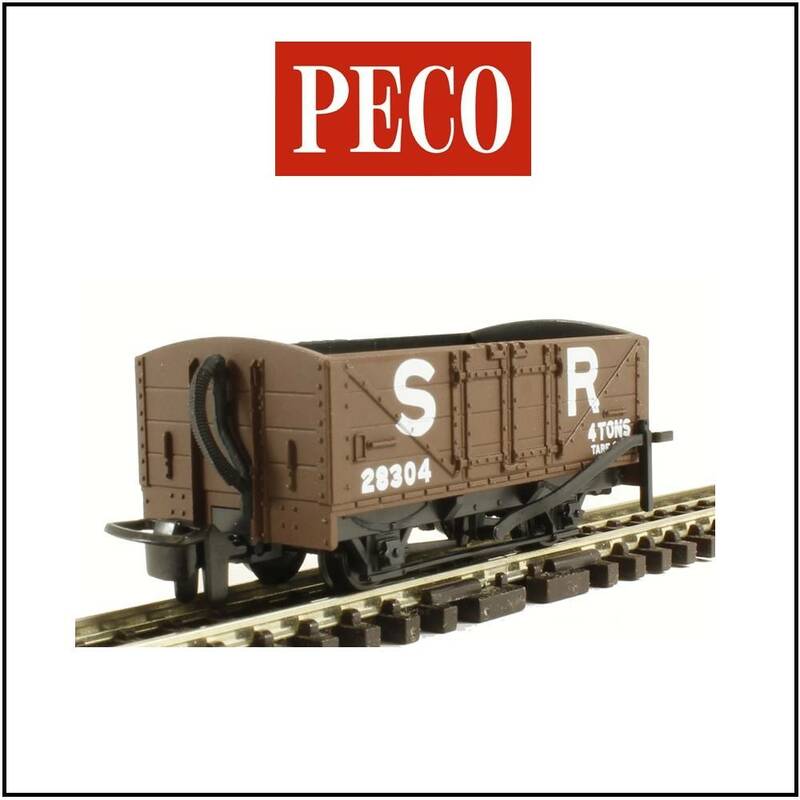 Peco GR-231 OO9 narrow gauge Southern Railway Lynton & Barnstaple line bogie open goods wagon number 28313. 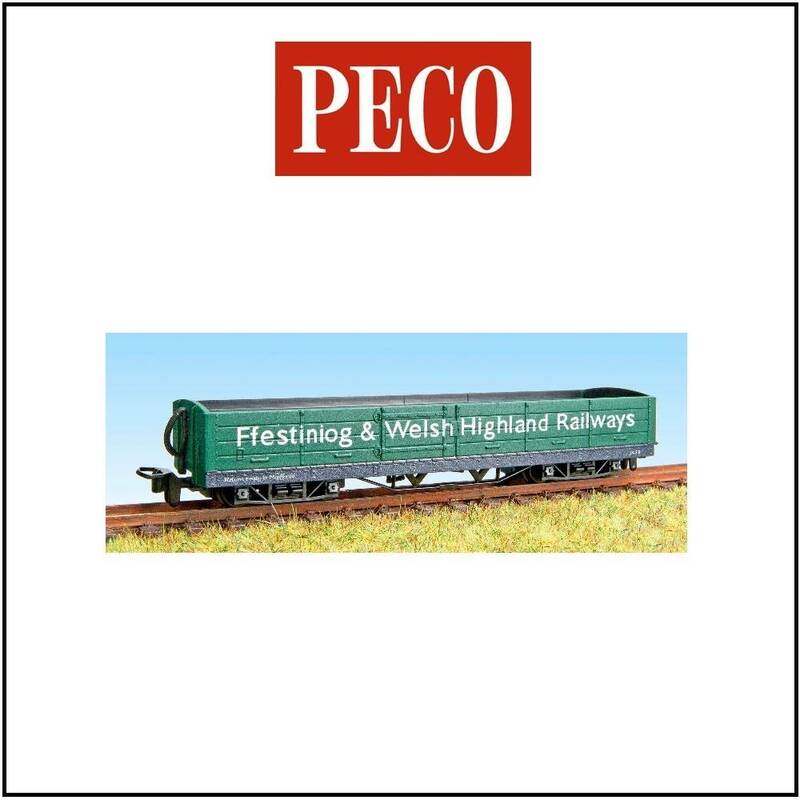 Produced as a Limited Edition for the Ffestiniog & Welsh Highland Railways - JGF3 an Open Bogie Wagon in green. 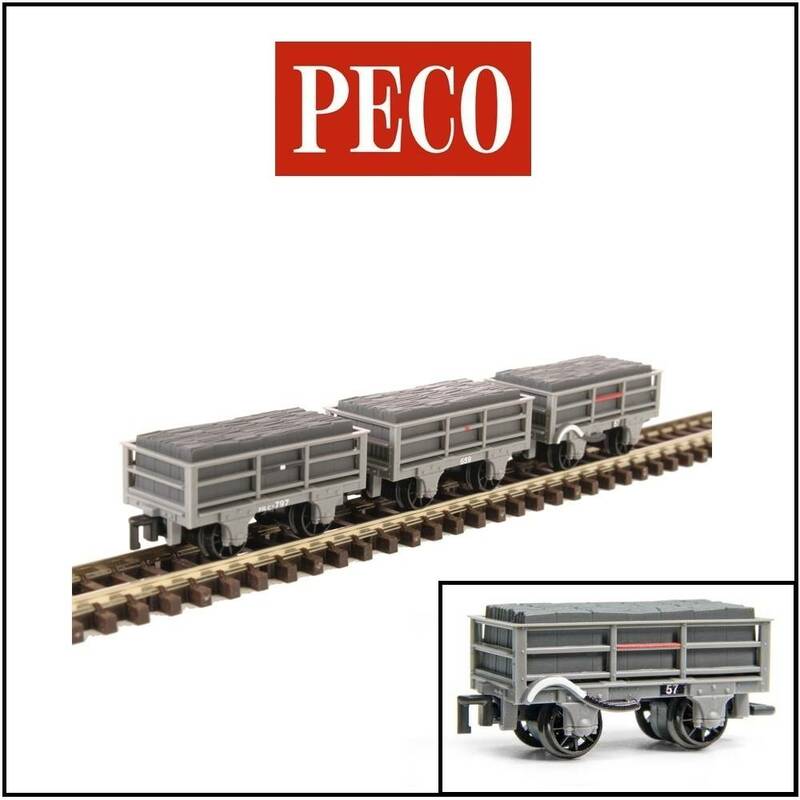 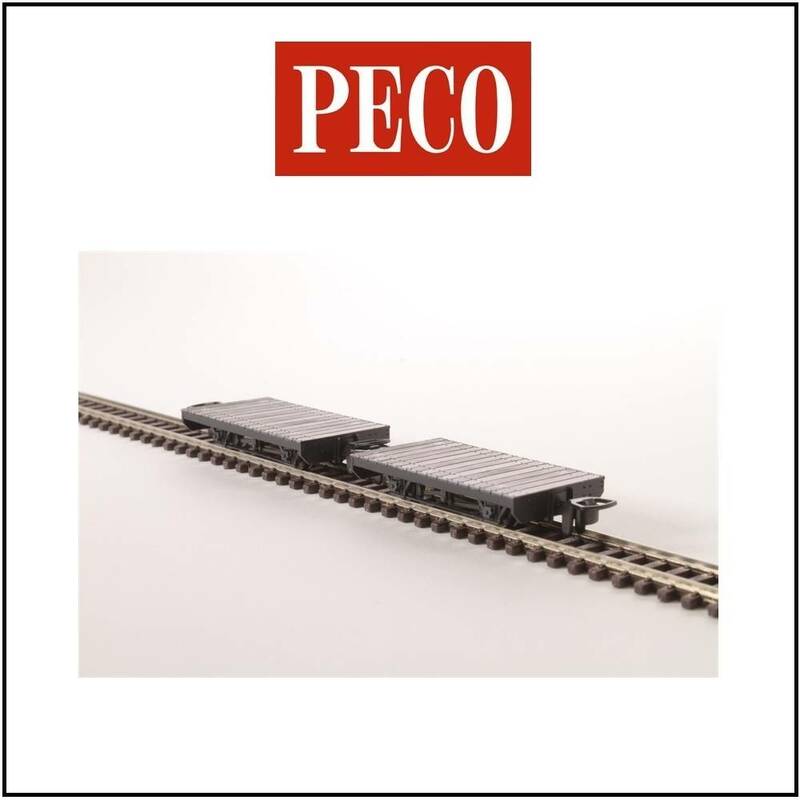 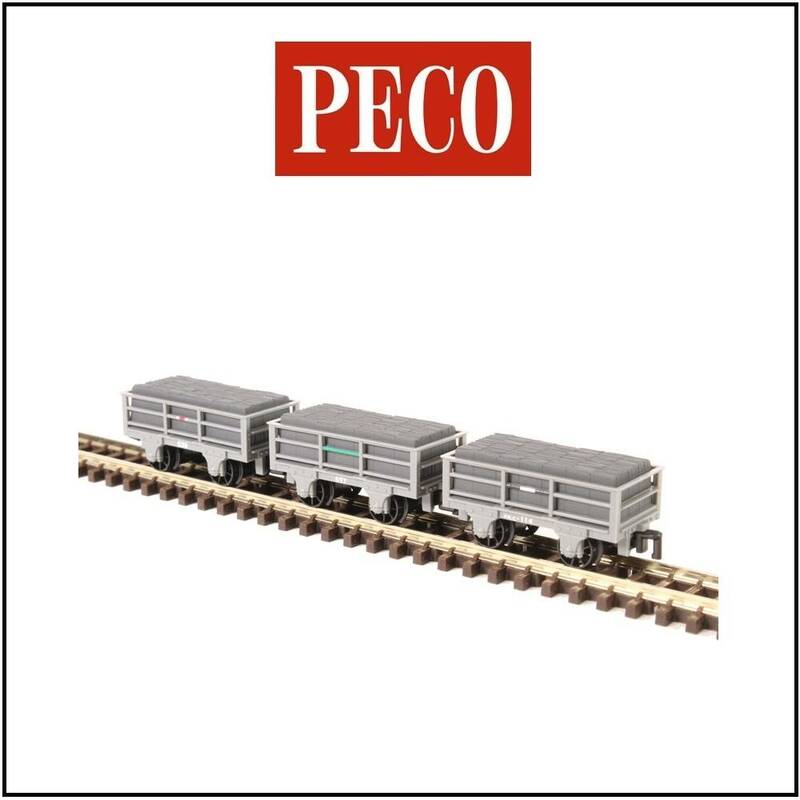 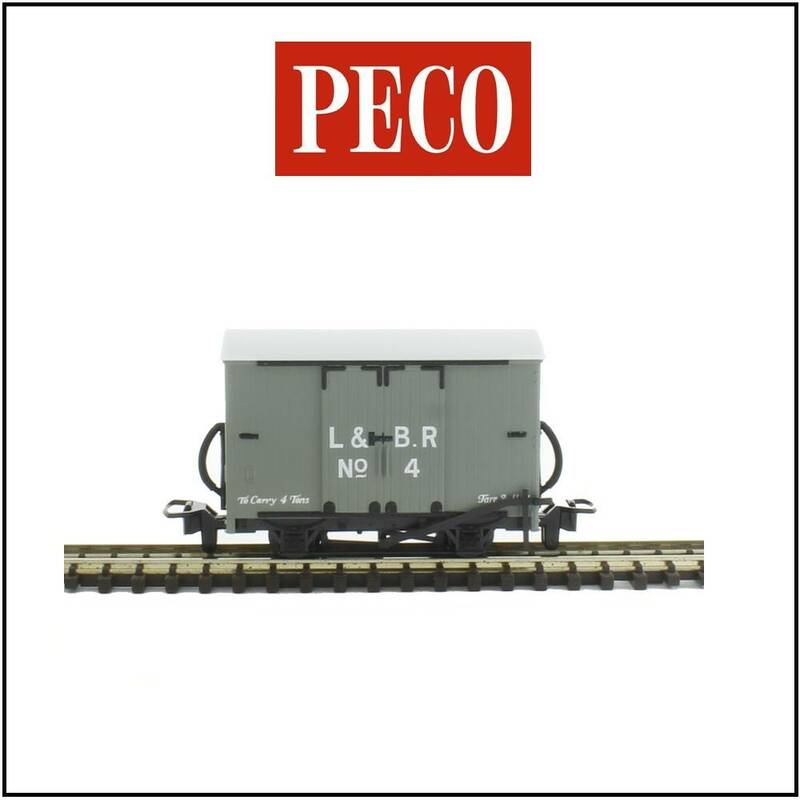 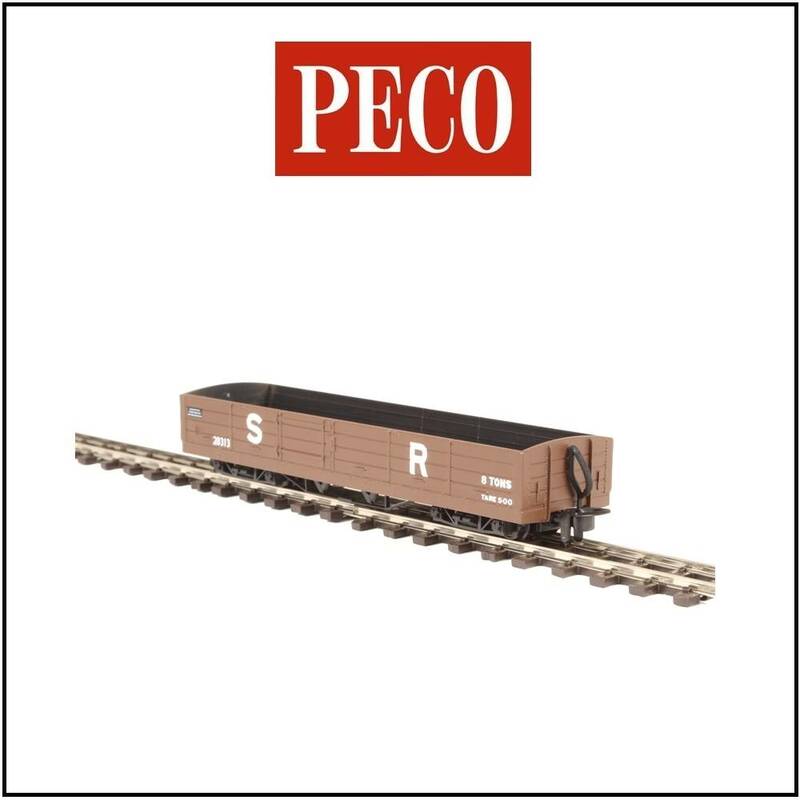 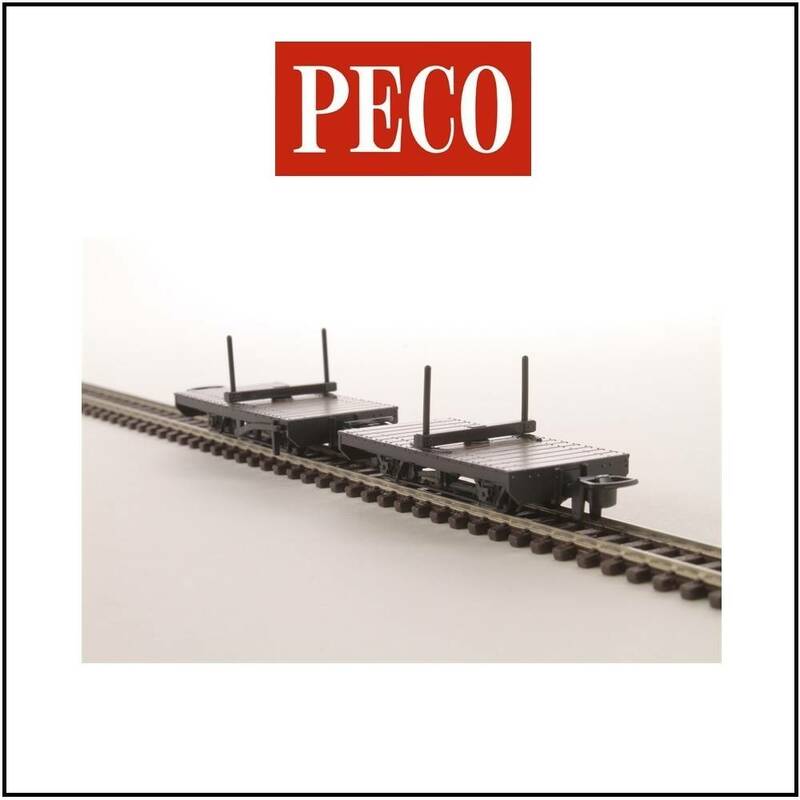 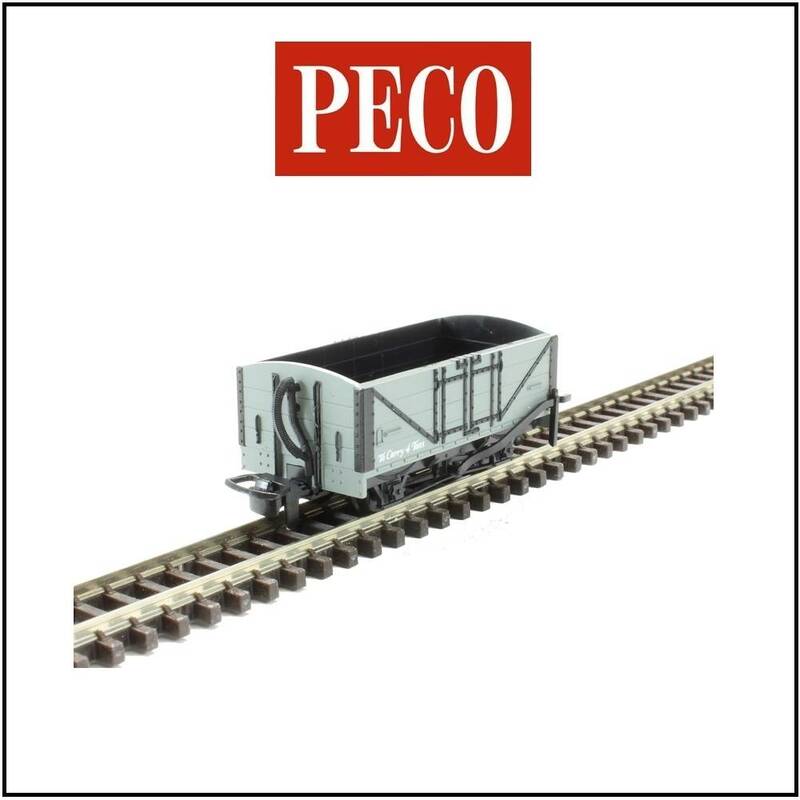 Peco GR-300 Pair of generic narrow gauge flat wagons. 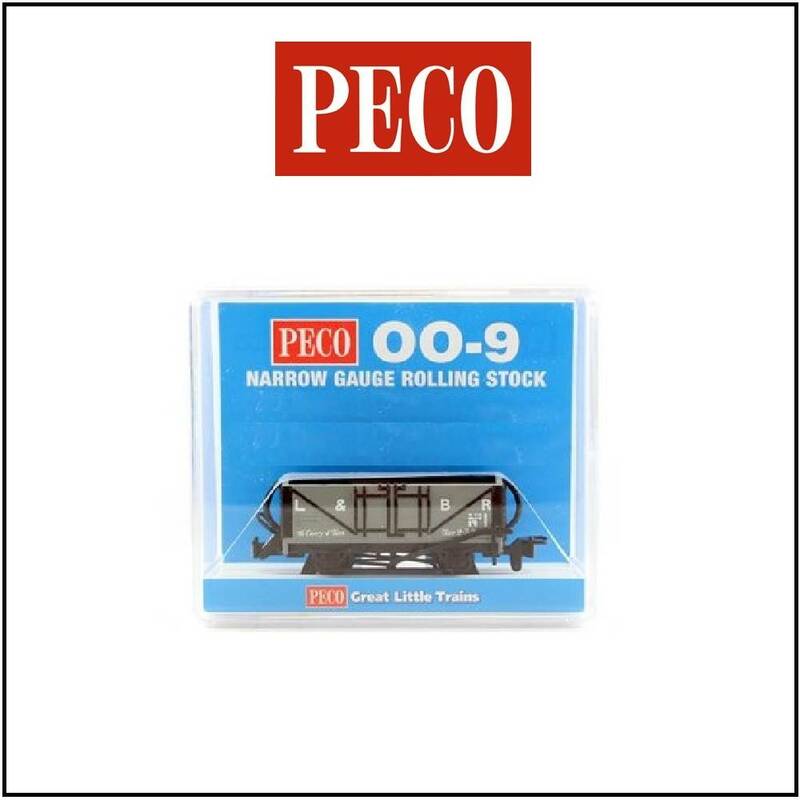 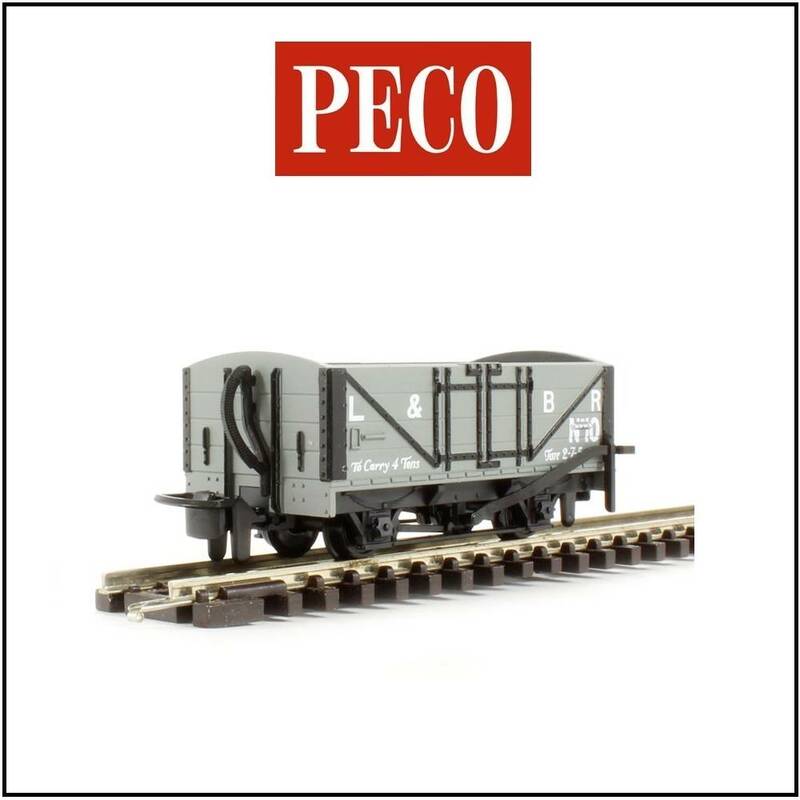 Peco GR-310 Pair of generic narrow gauge bolster wagons. 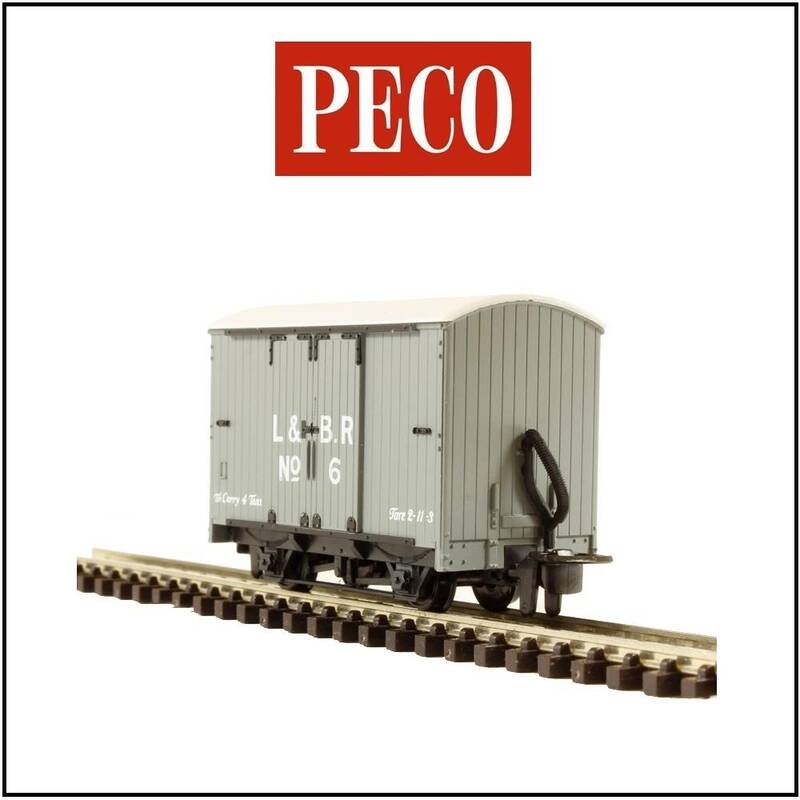 PECO ready to run 009 waggons - pack of three unbraked waggons, assorted running numbers. 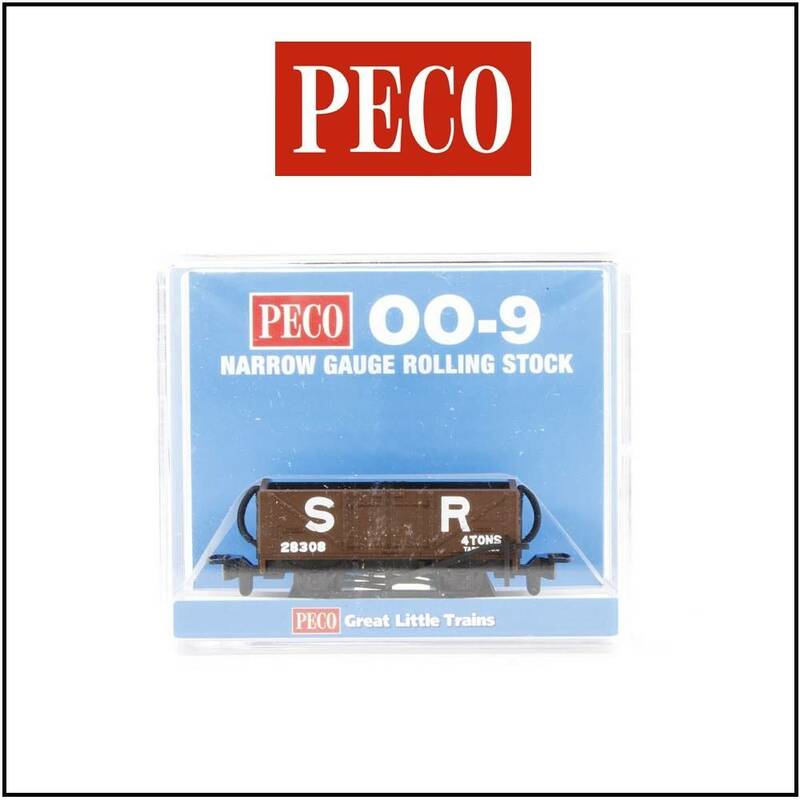 Standard 009 couplers provided for each end of the run with close couplers for in between. 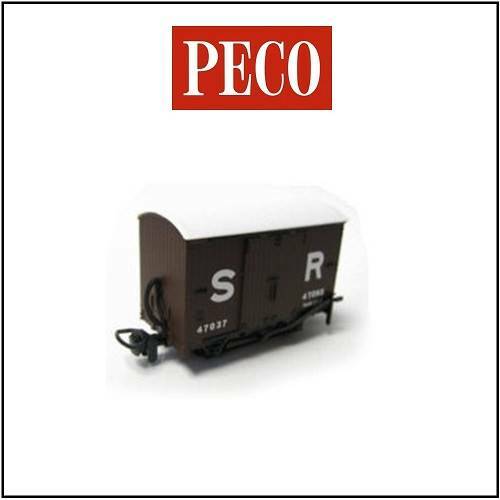 PECO ready to run 009 waggons - pack of two unbraked and one braked waggon, assorted running numbers.